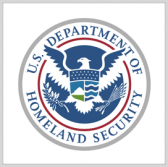 The Department of Homeland Security has issued a request for innovators who can help DHS prototype, test and deploy emergency response systems equipped with “smart city” and “internet of things” tools to first responders by 2020. DHS said Thursday the RFI notice is part of a broader effort the department’s science and technology directorate announced in September. The directorate partnered with the Center for Innovative Technology in Virginia, Smart City Works and Chicago-based venture development firm TechNexus to identify new platforms in the areas of indoor drone autonomous navigation, indoor building sensing and body-worn responder interoperability. Interested collaborators may submit input through Feb. 15. DHS will unveil selected performers in March that will receive $50,000 in initial funds to develop prototypes. The department will then down-select partners to enter a $100,000 prototype validation initiative that will run for 18 months and demonstrate commercially-relevant systems that can undergo preliminary field tests with responders.